High school graduation is coming up and I have a few special ladies in my life that will each be receiving one of these wallets with a crisp bill inside from me to celebrate their accomplishment. How did I make them? Simple. I used the Martha Stewart tutorial as inspiration...and then kind of deviated from it. 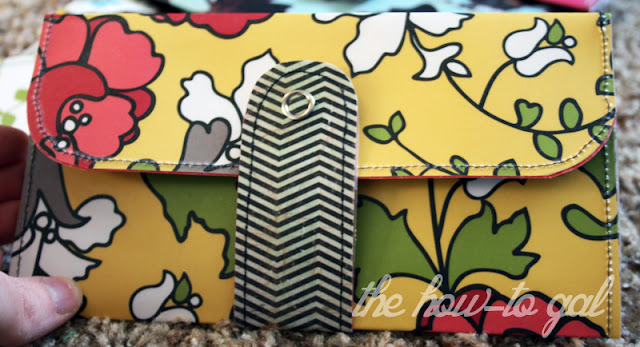 Step One: Cut out the wallet shape out of two coordinating pieces of card stock or scrapbook paper. I used a wallet I already had as a template. Or, use Martha's template. Step Two: Sandwich the pieces together and cover with contact paper. 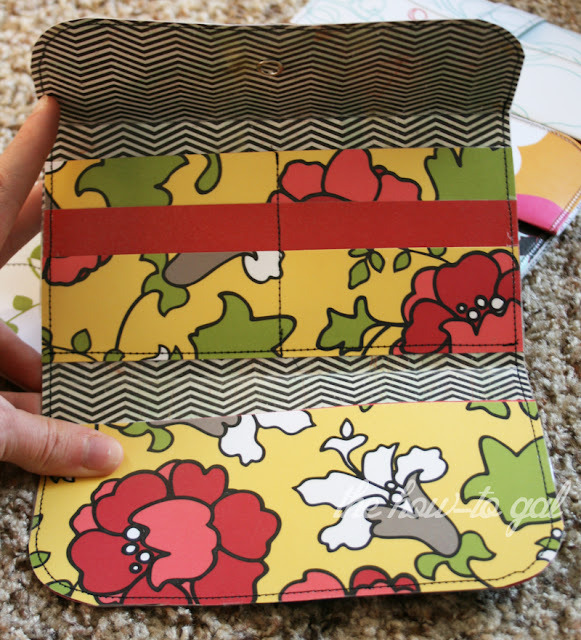 Cover extra pieces as well for pockets. Step Three: Sew those two pieces together. 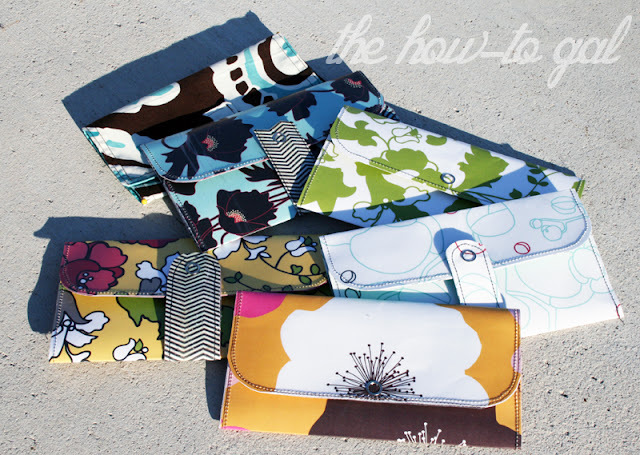 Once sewn, fold into thirds according to how large you want the pockets to be. I guesstimated with each one, but Martha also has a template for pockets. 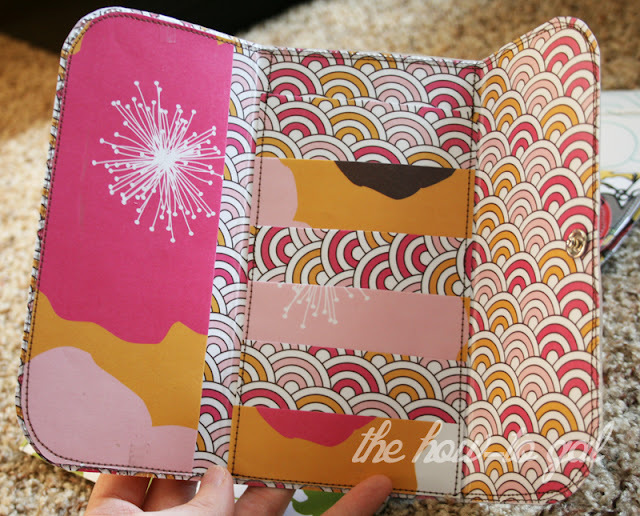 If making a wallet, use a credit card placed horizontally or vertically to guesstimate where to make the folds. This image shows me gauging the size I would need to make a passport cover. Step Four: Cut a small strip of both papers covered with contact paper, round the end and sew together. 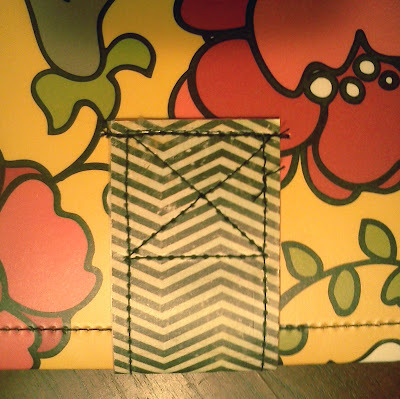 Step Five: Sew small strip to the back of the wallet, securing with an X and fold it over the front. Step Six: Add the hardware. If using snaps, follow instructions on the back of the product packaging. Step Seven: Make your credit card pockets by layering three long strips of the contact covered paper and sewing them down the middle. Be sure to sew down the middle of the strips before adding to the main wallet body. Step Eight: Place the CC pockets on the wallet body and sew down the sides and bottom. Step Nine: Add any other pockets or embellishments. I had so much fun making them that I experimented with closure ideas, different pockets, etc. Notice, this one doesn't have a fold over snap. I simply inserted the snaps on the top and bottom of the wallet BEFORE sewing on any of the pockets. 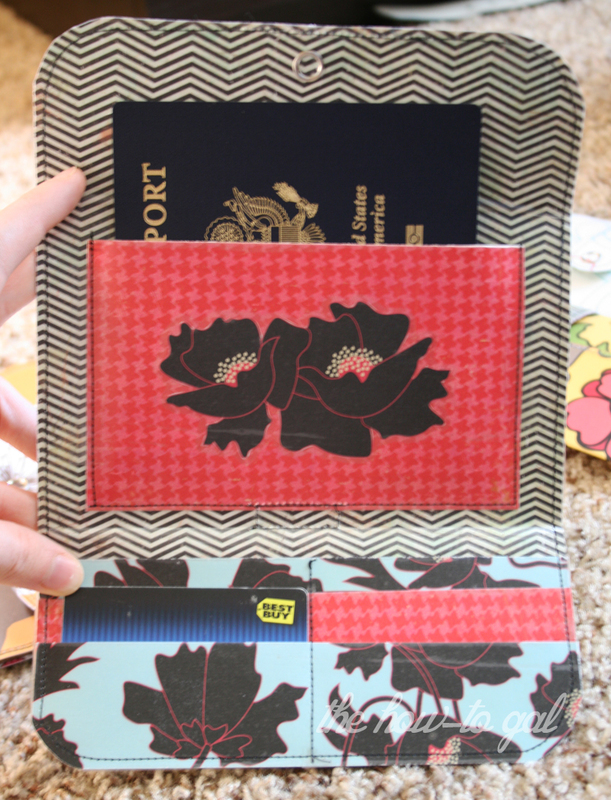 This one I made into a passport holder instead of a wallet. Fun, right?! These are so cute! I'm sure the girls you're gifting them to will love them. Hi, I was wondering, did you experience any bubbling when using the contact paper? As long as you start in the middle with the contact paper, you shouldn't have any bubbling. Hope this helps! 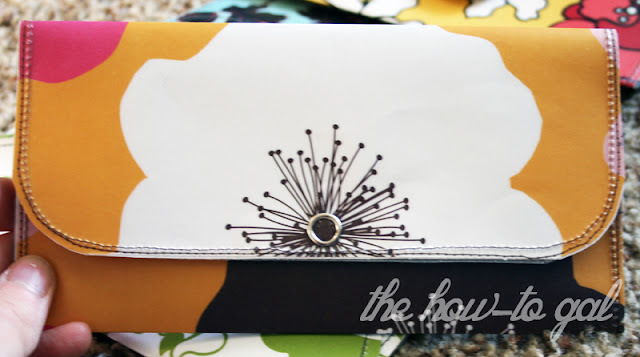 Can you tell me if you had a different design/pattern for a men's wallet? I didn't, but that is a great idea! I'll let you know if I do another tutorial. Thanks! 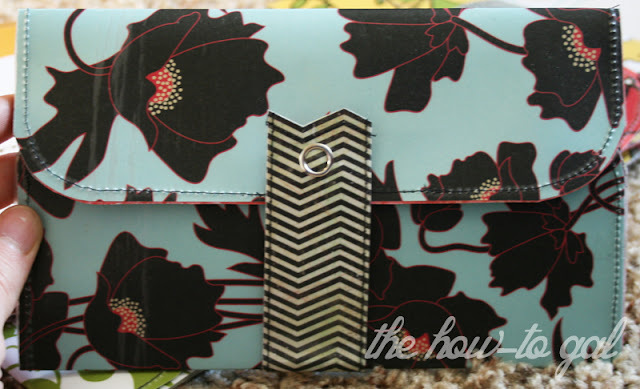 The checkbook style wallet works well for persons that carry checks as well as cash and cards. This wallet is normally too tall for convenient use in a back pocket. It will stick out of the pocket and be an easy target for a pickpocket. VolgoPoint Shopping is international site offering a best collection of men wallets.